For some time now, data centres have been keen to find a way around Nvidia’s professional, and pricey, tiered business model. The answer? Use GeForce or Titan graphics cards instead. 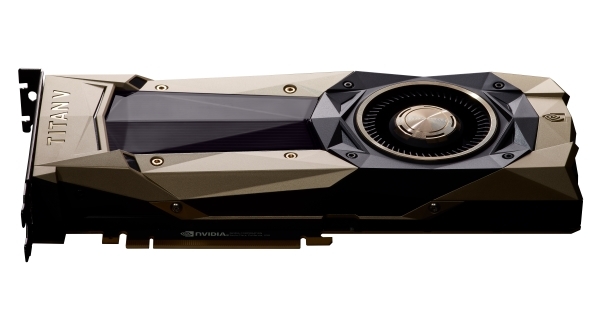 To prevent gamer-focused cards from making their way into big data application – and, in turn, cutting out Nvidia’s pricey Quadro and Tesla cards – Nvidia have now updated their EULA to kick big data in the rear. Want the latest Nvidia graphics tech? Here are the best graphics cards for gaming… hey! Stop machine learning on that, right now! Nvidia have been throwing their toys out of the pram ever since big data centre companies got word that they don’t need to spend thousands on a single parallel processing GPU, only needing to spend a little more than the average gamer. 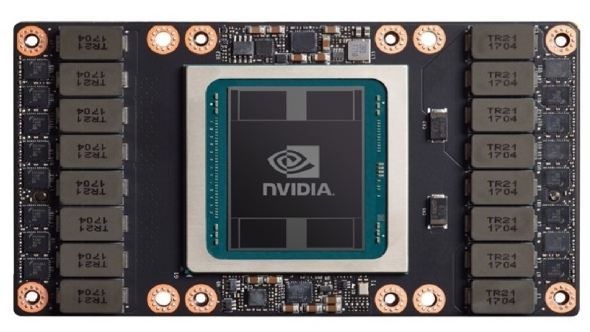 For a little machine learning you could easily be looking to spend nearly £10,000 on a single Tesla V100 GPU – a GTX 1080 Ti, or even a Titan V with all those Volta Tensor cores, is pennies by comparison. Unsurprisingly, Nvidia aren’t too fussed on the idea of big businesses destroying their profit margins, and have now updated their End User License Agreement (EULA) to come crashing down on data centres with the full force of the (licensing) law. Good news for large-scale miners, who can still continue to use GeForce cards for their cryptocurrency ventures. Nvidia seemingly are a little wary of cutting themselves out of that market, and leaving an exceedingly large amount of money on the – albeit slightly precarious – table. 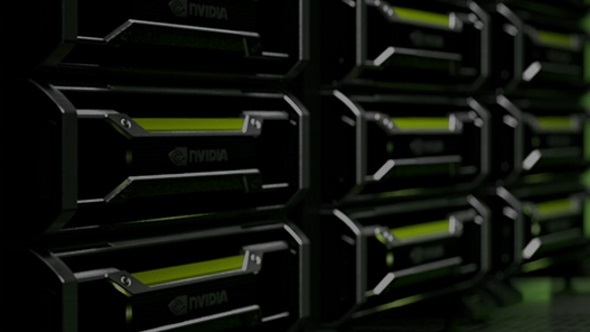 Unfortunately, big data and machine learning applications have few alternatives to the parallel processing power that Nvidia can offer, at least for the time being, leaving businesses and end-users at the mercy of the green team’s will. This new EULA only applies to the driver software and not the hardware itself. This means users that refuse the latest drivers are still free to use these cards as they wish, however, they do forego any future updates and support. Nvidia are also quick to note to CNBC that non-commercial and research uses are not affected by the changes, and may continue to utilise GeForce and Titan graphics cards. Whether cloud gaming services, such as Blade’s Shadow streaming, will be affected by these changes is not yet clear. Blade’s Shadow servers do not use Nvidia’s GRID, and offer a single dedicated graphics card to every user on the service – a pricey approach if GeForce is no longer an option. Nvidia have supposedly tried addressing this ‘issue’ before, at least with the large suppliers they work closely with. Nvidia were rumoured to be “strictly monitoring” server suppliers to ensure that they were not cutting Nvidia’s top-end enterprise GPUs out, instead favouring GeForce and Titan cards. These rumours even suggested that Nvidia were threatening to cut supply of GPUs to suppliers if they did not comply with their demands. Nvidia hold a lot of sway in big data, especially after their recent stock surge. It seems the company is quite aware of the benefits which that market leading position hands them, and are in a position with machine learning and parallel processing where they aren’t afraid to throw their considerable weight around.